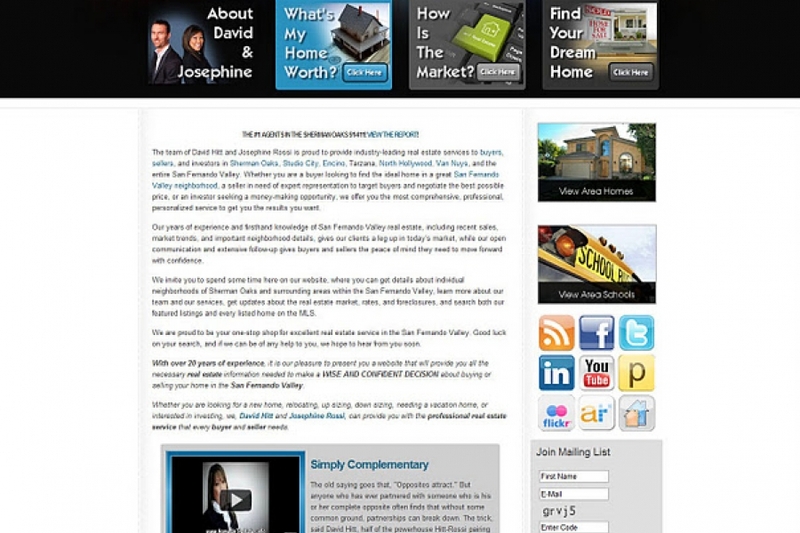 Real Estate Joomla site for David Hitt & Josephine Rossi in the San Fernando Valley. San Fernando Valley	Gallery: Joomla Design Portfolio	Description: Real Estate Joomla site for David Hitt & Josephine Rossi in the San Fernando Valley. Views: 2580	Loves: 0 love it!